The Maestro del Tiempo ("Master of Time") from Warped is a medium-bodied Nicaraguan puro several years in the making. Featuring a filler blend of Nicaraguan Corojo '99 and Criollo '98 leaf as well as a Nicaraguan Jalapa Corojo '99 wrapper, this cigar presents flavors of raisins, cashews, and creamy vanilla. 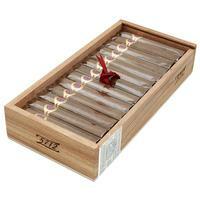 Seen here is the "5712" in the Petite Robusto vitola. 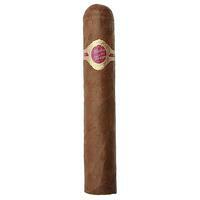 5% Off Five Sticks: $9.36 ea. 10% off box (25): $8.87 ea.